Alan Tio is the CEO of the Kosciusko Economic Development Corporation (KEDCo). In this role, he leads the community’s efforts to promote economic growth throughout Kosciusko County. KEDCo is the non-profit full-service economic development organization serving the county. It is supported by the County of Kosciusko, City of Warsaw, towns of the county and private sector members, including several agbioscience businesses. Tio received his bachelor’s degree in international studies from Miami University and a master’s degree in public affairs from Indiana University. Chris Lowery is senior vice president of workforce alignment for Ivy Tech Community College and serves as the new board representative to AgriNovus. Prior to this role, Lowery served as chancellor for the Columbus/Southeast Region of Ivy Tech. Over the course of his career, he has worked for Hillenbrand, Inc., the Association of Indiana Counties, and was an aide to former Indiana Governor Robert D. Orr and Senator Dan Quayle. Lowery chairs the Career Coaching and Navigation Action Team for Governor Eric Holcomb’s Workforce Cabinet and is chair of the Board of Trustees of the Sagamore Institute think tank. He received his master’s degree in management from Indiana Wesleyan University and a bachelor’s degree in public affairs from Indiana University. AgReliant Genetics also joins AgriNovus as an Innovation Council member. AgReliant Genetics, the third largest corn seed company in the U.S., is as a leader in seed research, production and quality. Headquartered in Westfield, AgReliant Genetics has products and services for growers across a multitude of geographies, with production locations the Midwest and 13 research facilities across North America. 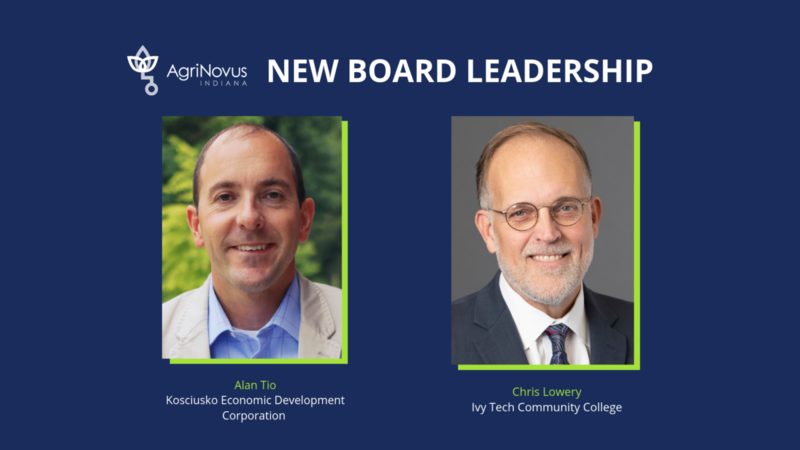 The Innovation Council serves as a technical advisory committee and plays a critical role in AgriNovus initiative planning and program execution.